The MCBA Legal Education Scholarship program provides scholarships up to $5,000 to financially disadvantaged students from Marin pursuing a law school degree. Funded with contributions from the MCBA, it is a collaboration with 10,000 Degrees and the Marin Community Foundation, which administer the fund. Established in 2010 with a $50,000 contribution, through your generous annual donations, we awarded scholarships to four deserving law students for the 2018 to 2019 academic year. Help us reach our 2019 fundraising goal of $16,000 and support financially disadvantaged students pursuing a law school degree. Please make your tax-deductible donation today. Christine Chong is currently a third-year student at the University of California, Berkeley, School of Law. She is a first-generation college student who grew up in Novato with immigrant parents, and she is the first in her family to pursue a career in the legal field. Christine attended the University of California, Berkeley for her undergraduate degree and double-majored in Rhetoric and Legal Studies. Christine has been an active student on and off campus. She has interned with the European Union in Brussels and with the litigation department at Facebook. 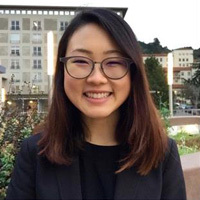 At Berkeley Law, Christine has been Co-President of the Berkeley Information Privacy Law Association and a Korea Law Center Fellow. Growing up with parents with few resources, Christine believes that the legal system has tremendous power to impact lives, and she strives to be a leader to help mold the law for the benefit of all people. Christine is currently a mentor for middle school and high school girls and seeks to empower them to overcome obstacles to achieve their dreams. Alexandra Green is currently in her second-year at Santa Clara University, School of Law. Growing up in Marin County, she was a member of Girl Scouts, CYO Basketball, Tiburon Peninsula Soccer Club, and Congregation Rodef Sholom. She also held jobs at Marin County Health and Human Services and Corte Madera Parks and Recreation. Alexandra received her bachelor’s degree in Psychology at University of Washington while pursuing her interest in the criminal justice system. After graduating, she returned to Marin and began her professional career by working at the United States Environmental Protection Agency in San Francisco. At Santa Clara Law, she is attaining the Privacy Certificate because of her strong passion for privacy law. She is specifically interested in privacy and cybersecurity concerns that arise in preventative and remedial measures involving cybercrimes and other forms of hacking. To reach this goal, she has recently worked at Santa Clara County’s Public Defender’s Office and District Attorney’s Office, and the United States Attorney’s Office. 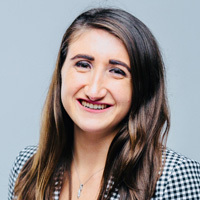 She is an associate for Santa Clara Law Review and the High Tech Law Journal, and enjoys volunteering with Santa Clara Law’s Katharine & George Alexander Community Law Center, Entrepreneurs’ Law Clinic, and Santa Clara Law EATS. Alexandra’s experience of living in Marin has influenced her to become an advocate and she hopes to continue contributing making a real, tangible impact. Nadim Houssain is a second year law student at Berkeley Law where he is involved with the Policy Advocacy Clinic, the Berkeley Journal of Criminal Law, and the Journal of Middle Eastern and Islamic Law. Nadim is also pursuing a Masters in Public Policy at the Harvard Kennedy School of Government alongside his JD. Before attending graduate school, Nadim attended the University of California, Santa Barbara where he received a BA in global studies and religious studies. 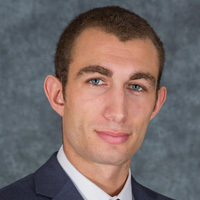 After completing his undergraduate studies, Nadim spent two years serving as a Peace Corps volunteer in Burkina Faso where he specialized in community economic development. Soon thereafter, Nadim got involved in the 2016 presidential election by working as a field organizer for the Bernie Sanders campaign in South Carolina, North Carolina, and New York. This coming summer, Nadim will be working at Jones Day as a summer associate in their DC and San Francisco offices. He will be working primarily in their global disputes department. After graduating, Nadim intends to pursue a clerkship and to spend several years working on matters involving litigation and international arbitration in the private sector. Nadim also hopes at some point to pursue a career of public service, including as an elected official. 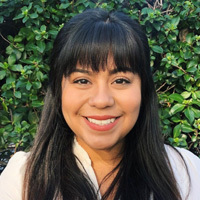 Vanessa Sibrian is a first year at Santa Clara University, School of Law and hopes to pursue a career in immigration law. Vanessa graduated from Novato High School before attending the University of Southern California. Her past community activities include Border Angels, Mil Mujeres Legal Services, and JumpStart. Vanessa knew she wanted to be a lawyer ever since she was eleven, when her father was dealing with immigration problems and the concept of deportation was discussed. She says that, "Obtaining a law degree will enable me to not only be a spokesperson for immigrants’ rights, but also allow me to take on a greater role in actively helping communities around me."